We must go back to the 50s to get to know the origin of industrial style, so widespread today in architecture and interior design. In New York, the nerve centre of history, a trend of young artists moved to old factories and warehouses to locate their new homes. Spacious rooms, many square metres and lots of natural light that would mean the birth of an eternal decorative style, with decoration always being in the spotlight. The most important loft designs in the world are dedicated to recreating its philosophy, full of bare walls, beams and pipes. It is as if the building itself were obsessed with showing its intricacies, its purest essence and soul without doing anything. However, despite its apparent simplicity, true to the original state of things, industrial style requires the right guidelines to show elegance off and special luxury. 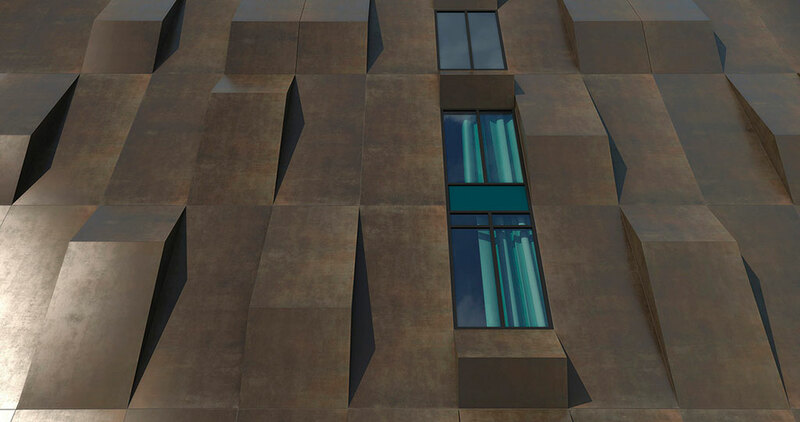 Likewise, the best materials and building solutions must be selected, so that the industrial decoration can look exclusive and very unique. Although industrial style is eclectic, allowing for the mixing of all kinds of materials and origins of things, from noble to recycled pieces; The truth is that this kind of decoration has fetish materials of which it must never be without. Some of them are cement and concrete, which remind us of those original industrial lofts in the 1950s in New York. 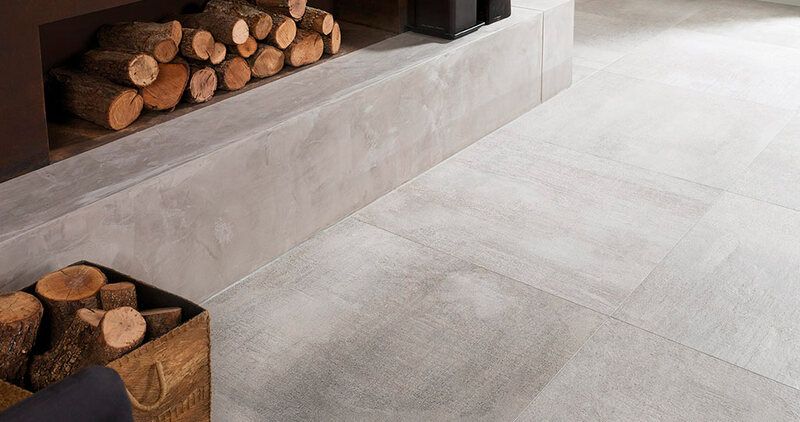 However, the cementitious appearance does not necessarily have the presence of cement in the home, but it can be achieved with other projects, such as the ceramic projects provided by the PORCELANOSA Grupo. 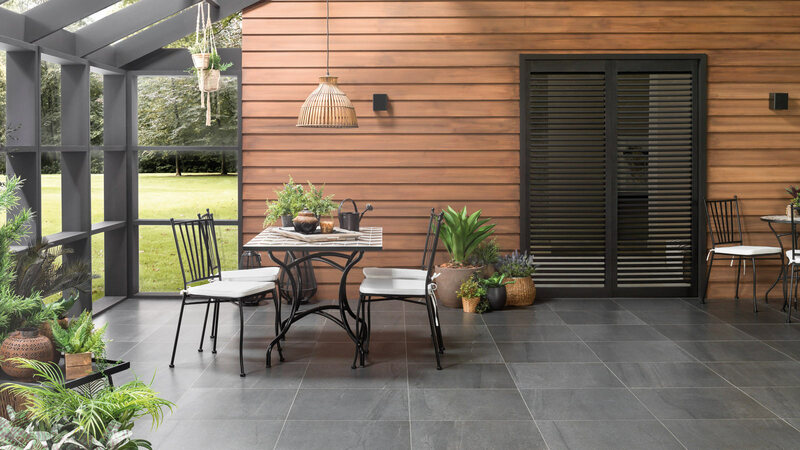 Ceramics is an ideal material for the home, thanks to its always perfect appearance, easy installation, simple maintenance and cleaning. Done by Porcelanosa and Venis, PORCELANOSA Grupo is capable of creating a fully concreted atmosphere through the selection of the most exquisite floor tiles and wall tiles. 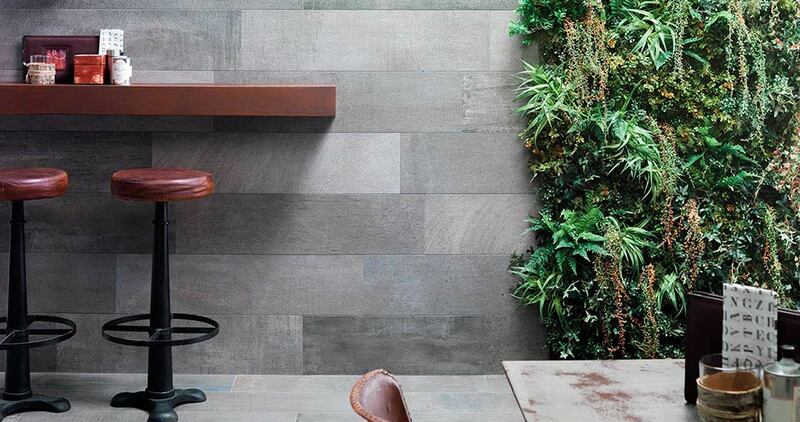 Porcelanosa, for instance, offers its range of cement look ceramic stone STON-KER Blue Stone, whose tiles convey the essence of natural material. In addition, it is available in several tones, Silver, Steel and Top; depending on the depth they want to provide the finished cement with. 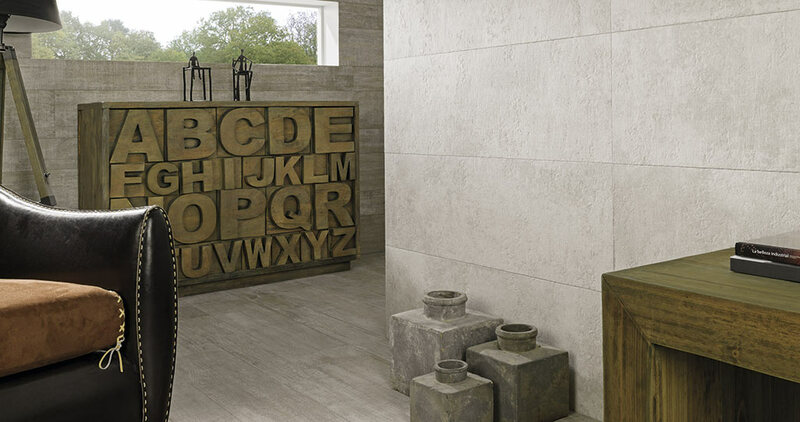 For flooring and coating, we suggest the Toscana Stone collection, which allows for distinguishing and providing a very industrial look to a kitchen, bathroom or living room. 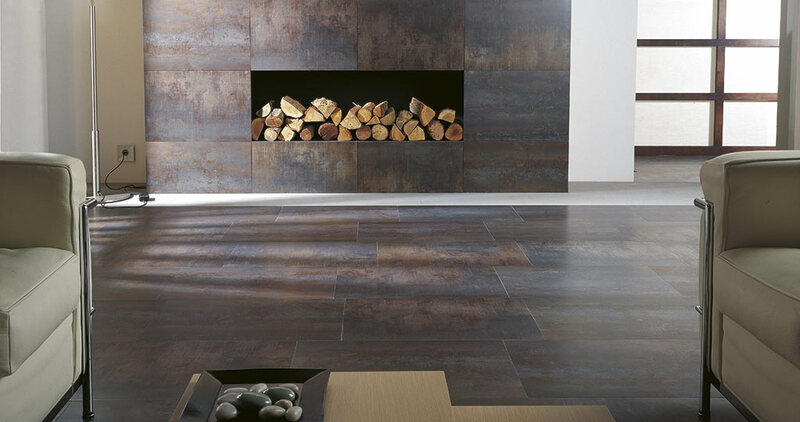 Another of the firms that provides ceramics with a cement look is Venis. 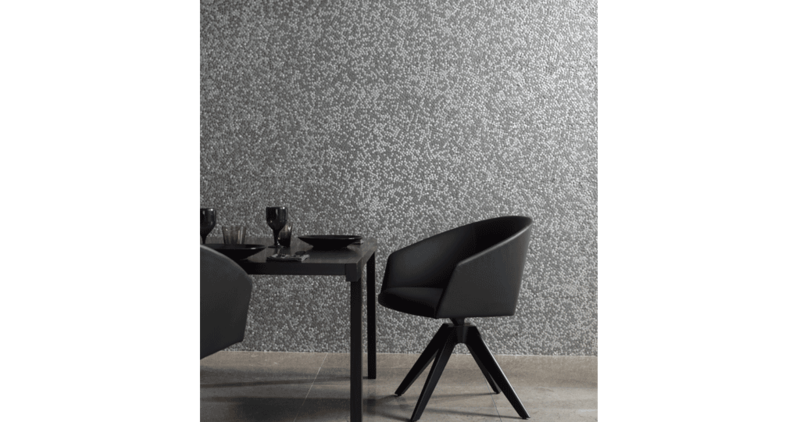 From Stockholm Grey, whose tableted look contrasts with the different grey intensities, to a more stony aesthetics, such as that of Baltimore Grey and White. 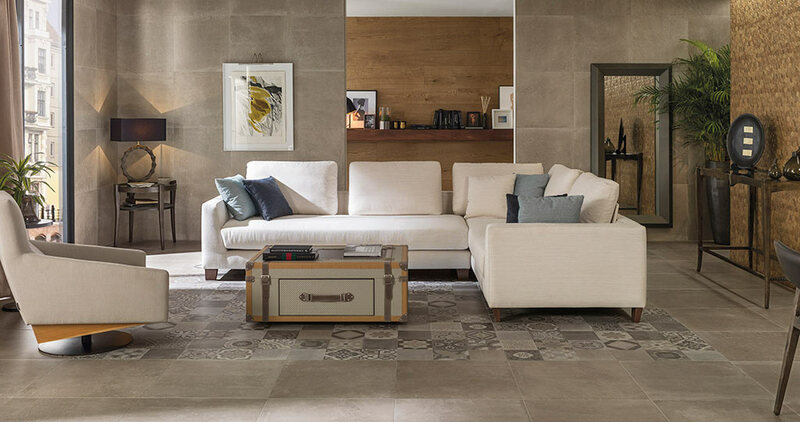 And if a more resistant floor tile or wall tile than traditional ceramics is required, the Urbatek company presents its full formwork cement imitation through-body porcelain tile from its Cover collection, capable of making a private or commercial project exquisite, thanks to its perfect connection to easy maintenance. As with concrete and metal, present through industrial elements such as tubes and pipes, other materials are capable of industrializing spaces 100%. This is the case with bricks or the rust finish, which, through a correct selection of materials, can provide the projects a very industrial and “barely worked” touch. Two aesthetics that, as well as concrete, can be achieved through ceramic projects, such as those brought by L’Antic Colonial, Venis and Urbatek. L’Antic Colonial emulates industrial brick and it does so with a collection full of luxury and sophistication. It begins in Piet Boon’s creative mind. This is the case with the Signature collection for coatings, which can perfectly fulfil an industrial room through its Cooper and White finishes. 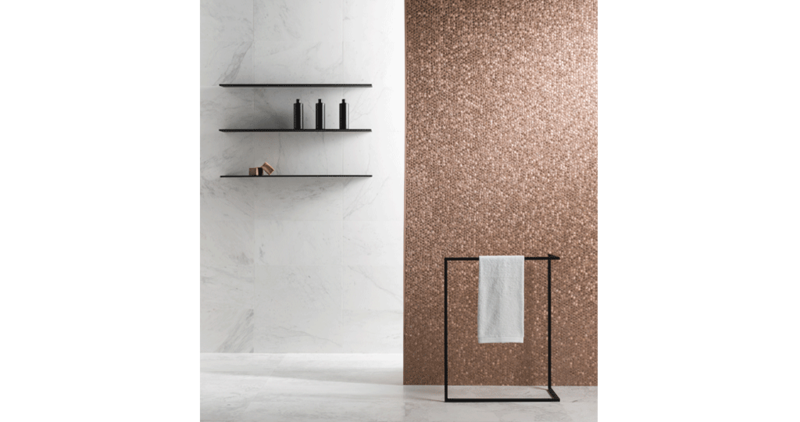 And if what is required is a more metallic and exclusive finish, this firm proposes imposing mosaics such as those from the Metal and Gravity collection. 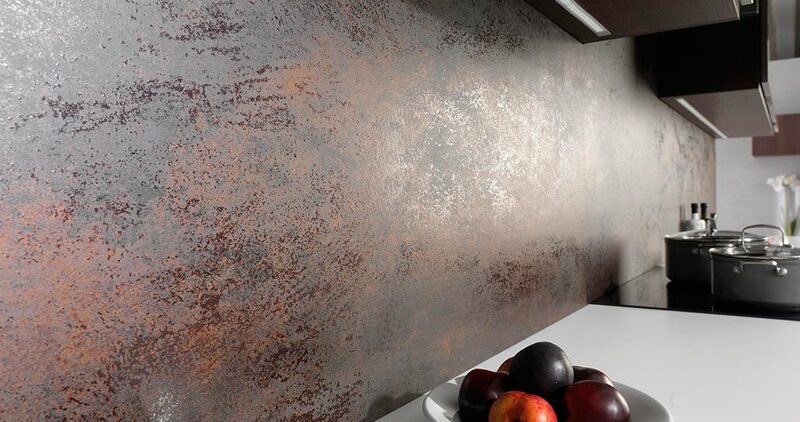 Your corners will stand out and they will appeal to the all metal luxury. 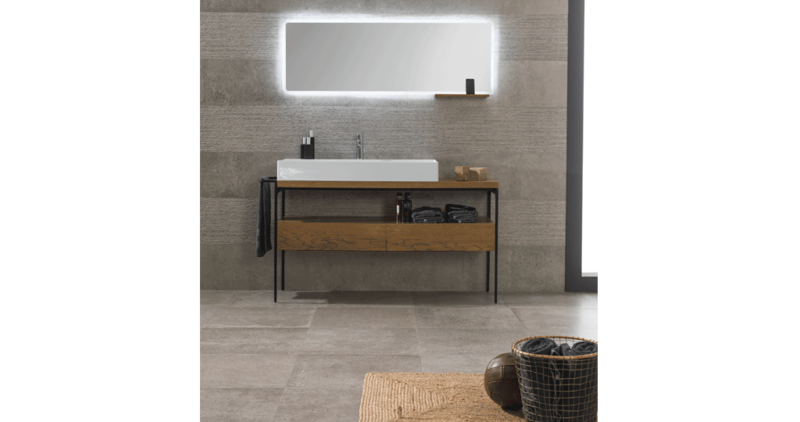 Meanwhile, Urbatek and Venis welcome rust finishes, and they do so through their Ferroker ceramics and the XLight Nox and Rust extra-slim porcelain tile. 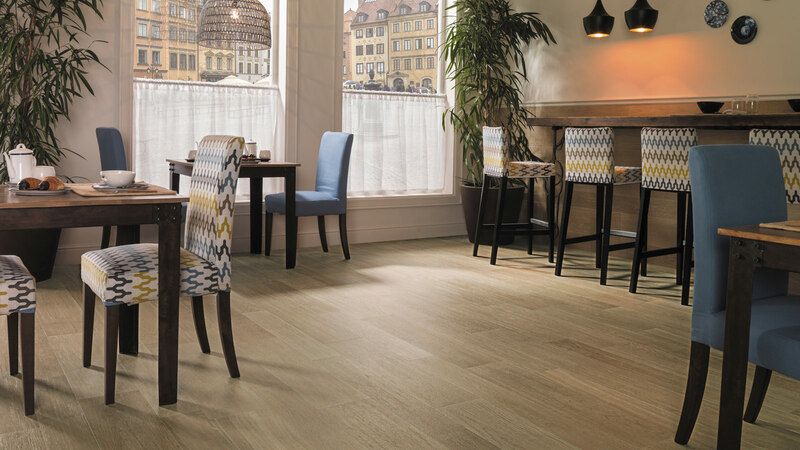 A highly resistant porcelain tile capable of being applied indoors and on façades. 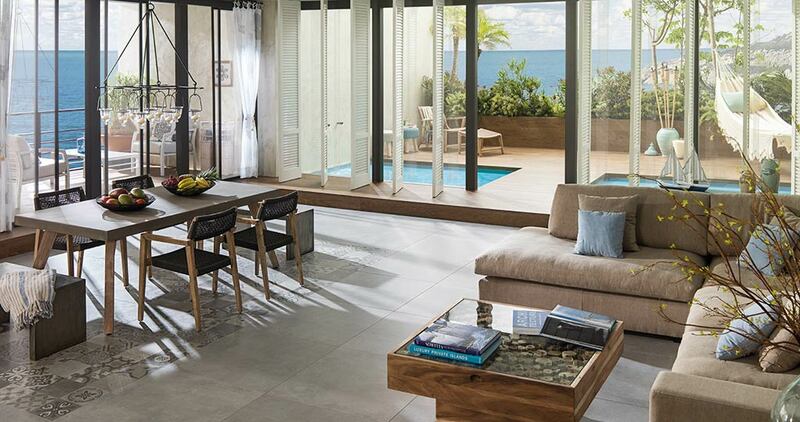 In a contemporary house, kitchens and bathrooms have gained more prominence as an experiential room. And given their growing importance in our daily lives, they bathe in the current decor, through the 100% correct trend decoration patterns. Whereas with kitchens, warmer tones with recycled wood and rusty touches are opted for. 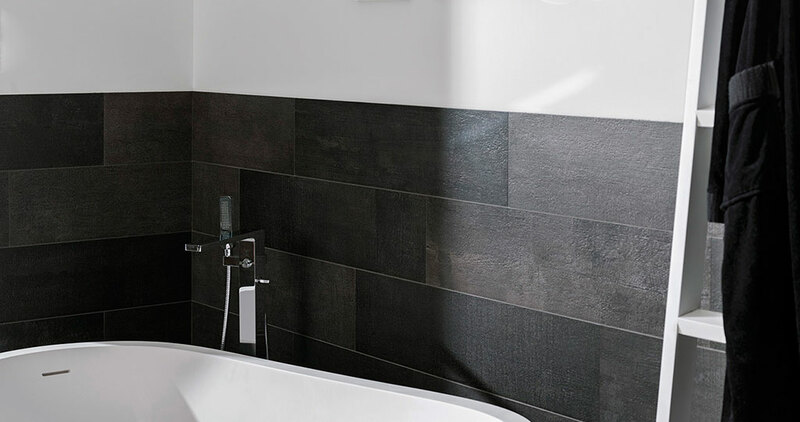 Bathrooms become minimalist, through black and white elements and their intermediate, grey colour. 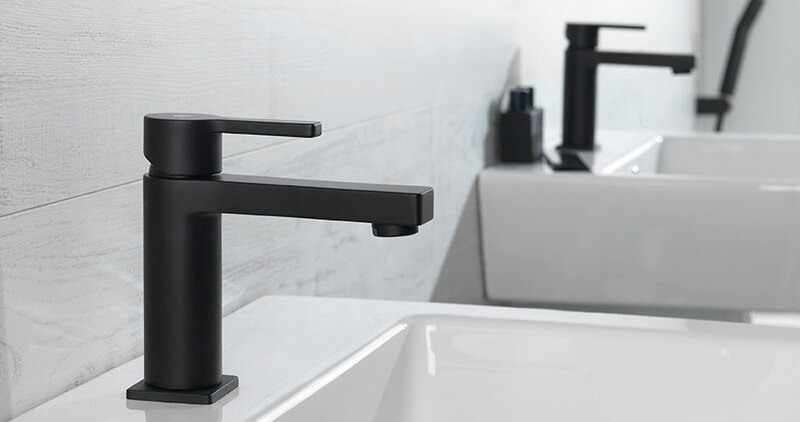 In this sense, Noken, the bathroom equipment company from the PORCELANOSA Grupo shows, in order to satisfy the most industrial style in bathroom, its Urban taps in a black matt finish and its Pure Line collection. 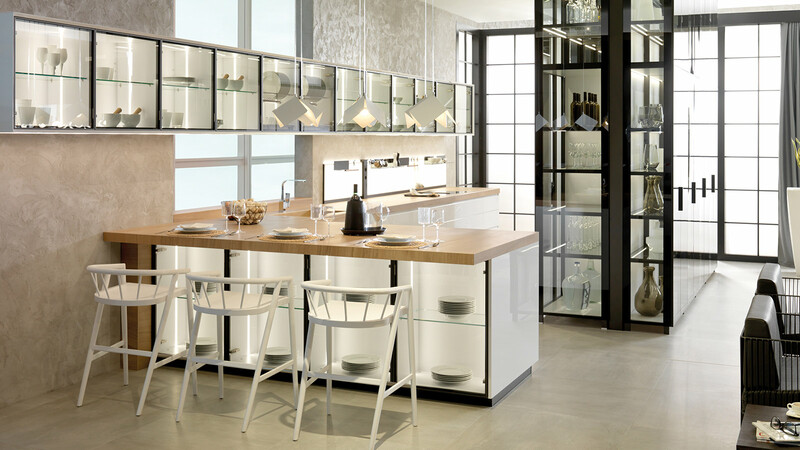 A collection that can also become warmer, as is the case with the kitchens, through its version of furniture in oak aged natural wood and metallic structure.